A nice group of interesting, little-known and forgotten films are filtered amongst the more familiar titles of this month’s “Best of” DVD recommendations. A smattering of recent theatrical films, lots of classics and TV on DVD also made the cut. As always, everything on this list is recommended—or it wouldn’t be here—but standout titles are given a little more “oomph,” as is my wont. 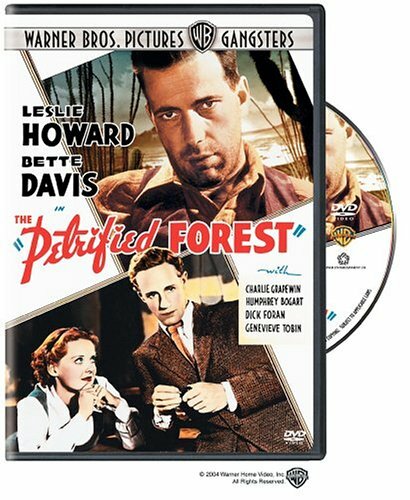 For starters, I want to mention the amazing job that Warner Bros. has done with The Petrified Forest ( 1936 ) , which many film experts consider one of the earliest examples of “film noir.” This release, part of Warner’s “Gangsters Collection” series ( other titles include White Heat, The Public Enemy and Little Caesar ) features a new transfer that’s the best version of the film I’ve seen and stars Leslie Howard and über diva Bette Davis in one of her early, charming performances. It’s most renowned ( and rightfully so ) for making Humphrey Bogart as gangster Duke Mantee into a star. A practically encyclopedic film commentary is offered by film historian Eric Lax, along with assorted other extras, the best of which is something called “Warner Night at the Movies,” which recreates what film audiences at the time would have seen before the film. A vintage trailer, newsreel, short subject, and cartoon are added to the disc before the feature—a delightful programming idea for classic cinema fans. 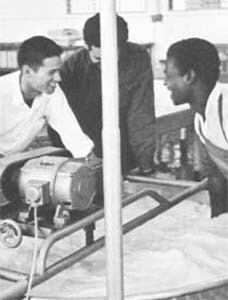 Coates Redmon, a staffer in Sargent Shriver's Peace Corps, died February 22 in Washington, DC. Her book "Come as You Are" is considered to be one of the finest (and most entertaining) recountings of the birth of the Peace Corps and how it was literally thrown together in a matter of weeks. If you want to know what it felt like to be young and idealistic in the 1960's, get an out-of-print copy. We honor her memory. Peace Corps Calendar: Tempest in a Teapot?